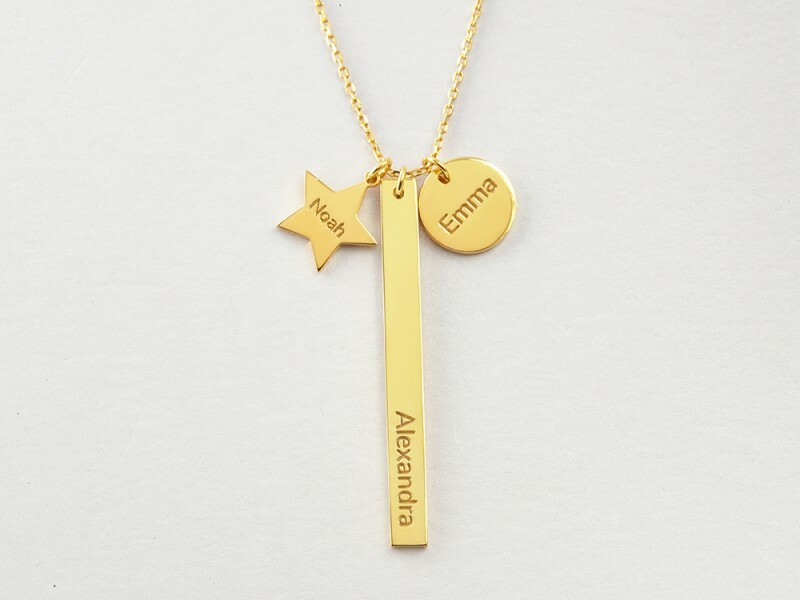 Wear your kids' love close with this beautiful children's name necklace for moms. Available in sterling silver with 18K gold plate options, this charm necklace for mom is will be a keepsake she will treasure. Select from 1-4 tags, depending on the number of children you have. - Character limits: 4-12 characters per charm depending on size. Please enter your name exactly how you want it, minding the case of each letter.